Dr. Wardell is married to the former Melissa Kay Yocum. They are members of Robeline First Baptist Church. Dr. Wardell is a former board member of the Natchitoches Area Jaycees and the Northwestern State Athletic Association. He is a former president of the Natchitoches Lions Club. 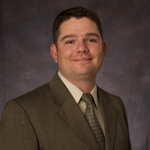 Dr. Wardell is a graduate of Northwestern State University where he received a bachelor of science in biology with an emphasis in microbiology. Dr. Wardell was pitcher for the NSU baseball team from 1996 to 2000. He received his Doctor of Optometry degree from Southern College of Optometry in Memphis, Tenn.